Make waves and help Find a Cure for Breast Cancer! 10% of sales will be donated to the Susan G. Komen foundation. Faith, Love and Strength are the perfect words to encourage, uplift and inspire someone. Sometimes words can perfectly capture your deepest emotions and desires. and encouragement. 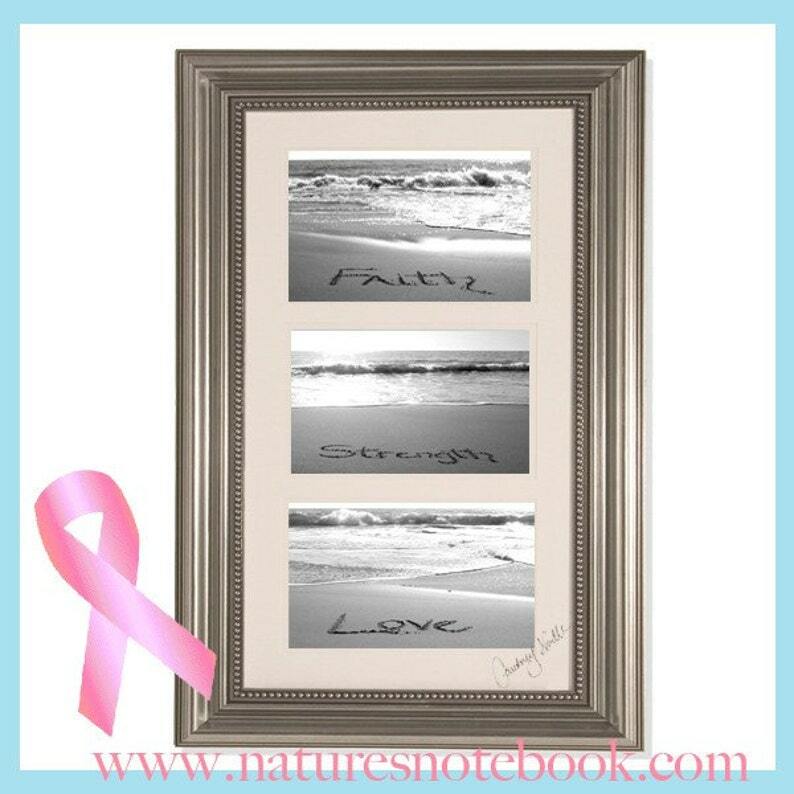 Declare your faith, love and strength to the world with this framed photography keepsake while helping to find a cure. You can also choose three words that are dear to your heart and Courtney Noelle will carefully write those words in the sand. Beautiful ocean photography provides theperfect background to create a lovely custom beach photograph. HAND CRAFTED WITH LOVE AND PRIDE IN THE USA! - Your framed artwork is signed and dated by the artist, and comes with a certificate of authenticity. Look for the Nature's Notebook Gold Sand Dollar seal of authenticity. Wooden Frame 11x20" with 3 5x7 photos. You" (words written in the sand).